NOW AVAILABLE! Our most popular models of Debris Caps™ - the DC456 and the DC457. These improved models for use in "6 inch to 7 inch" diameter valve boxes feature three adjustable spring tensioned contact pads as opposed to a single pad. 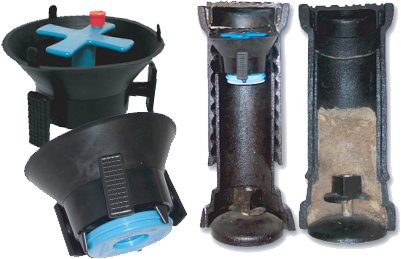 This upgrade allows for easier debris cap installation and removal. The newer models also provide a greater range of contact pad adjustment to offset inconsistent inside diameters in the various valve box types. Contact us at 1-800-462-2773 for more information on how our products can save time and money. Our goal is to manufacture high quality, cost effective products that help cities, utility companies, and contractors reduce maintenance, cleaning and liability costs. Our website is filled with a wealth of information about products, however, if you can't find what you are looking for or need a custom solution, please contact us directly. 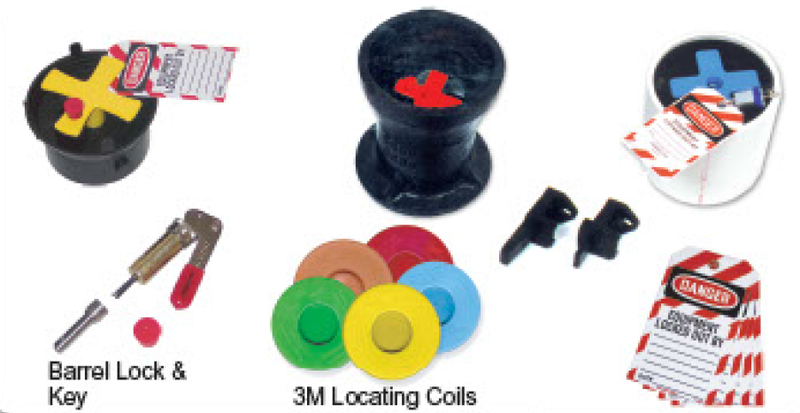 12 minute Debris Caps™ video Debris Caps™ Selection Guide Installation Instructions And other great tools! Download CAD Drawings and Product Installation Instructions.